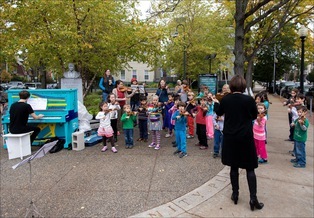 Touring internationally since 2008, Play Me, I’m Yours is an arts project by artist Luke Jerram. 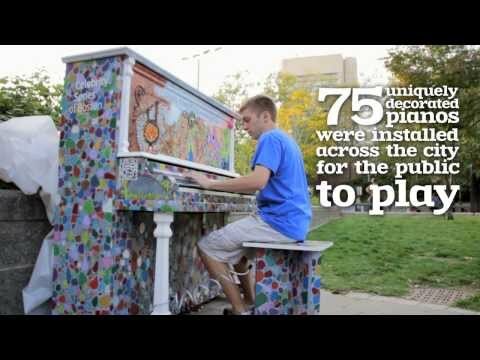 Over 1000 street pianos have been installed in 37 cities across the globe, bearing the simple invitation to Play Me, I’m Yours! The project has already reached more than four million people worldwide. 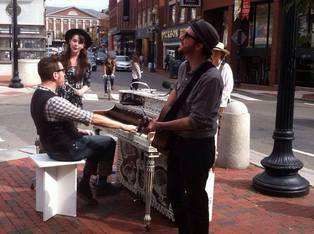 To celebrate its 75th anniversary season, Celebrity Series of Boston presented Play Me, I’m Yours from September 27 – October 14 2013. 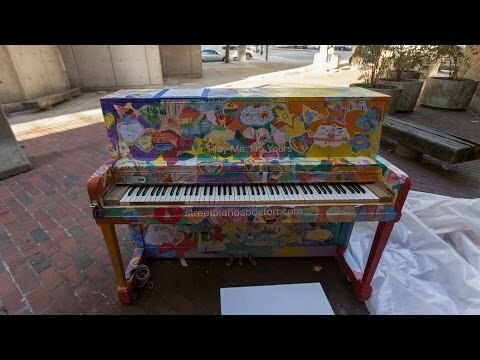 Located in public spaces in Boston and Cambridge, 75 pianos decorated by local artists were available for anyone to play and enjoy. 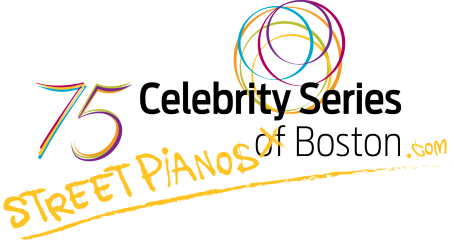 There are still two pianos available to play one in the Quincy Market Rotunda and the other at Logan Airport, Terminal E. The other pianos that remain in good working condition were donated to local charitable organizations. Click here to download a souvenir map of the piano locations. 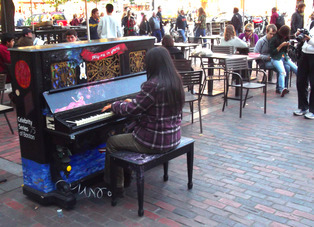 When the street pianos came to Boston I was new here, a freshman in college. Maybe it's what my friends and I now call "freshman syndrome" (becoming so excited to explore Boston when coming to college that you waste literally all of your money and time buying T tickets and exploring), but I felt like a kid in a playground. 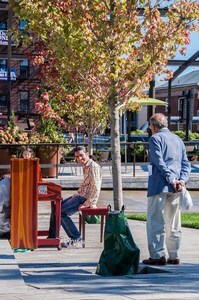 Listening to others play and watch them smile made this city sparkle. 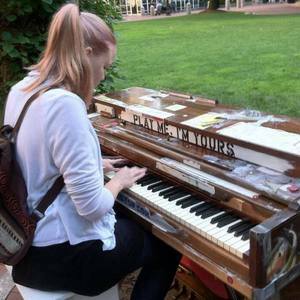 These pianos added whimsy and magic to the streets I was weary of. It made Boston home. Fabio Tedde, Pianist Composer beautiful moment with the wonderful Hilary!!!!! 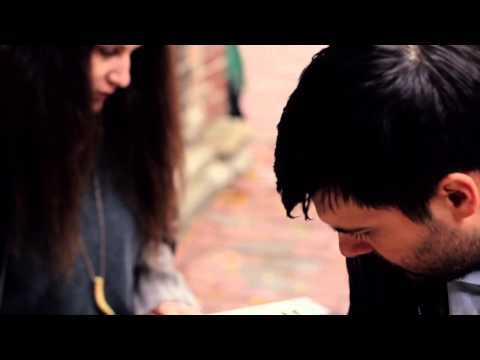 Fabio Tedde, Pianist Composer Boston "Play Me I'm Yours", September 27 ??? October 14 - 2013.